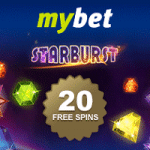 With start of brand-new slots by Net Entertainment offers the MyBet Casino now a Welcome Bonus without deposit. New players receive after the registration 20 Free Spins on the famous Starburst Slot. Available is this offer in the “Games” section. Players find here 12 new slots by Netent and more will be follow! For non of the games is a download necessary, simply login and play. Besides of Net Entertainment, players can play slots by Novomatic, Aristocrat, Quick Spin and IGT. Especially the famous Novoline Slots are hard to find in Online Casinos, but Mybet offers here 21 of the best games: Book of Ra, Dolphins Pearl and Sizzling Hot are just some examples. Also available is a Live Casino. Players find here Blackjack, Roulette and Baccarat. Live Poker and Live Sports Betting round off the company’s programs. The Free Spins offer without deposit is an exclusive Bonus for playing in the “Games” section. In any way a great Welcome Bonus for new players is in the MyBet Casino available: 500 € Bonus along with the first Deposit. Choose your amount you want to cash in and you get the same amount on top in Bonuses! More Welcome Bonuses: Live Poker up to 1.000 $, Live Sports 50 € in Free Bets! The Casino offers regularly Cash Back Bonuses and Reload Bonuses. 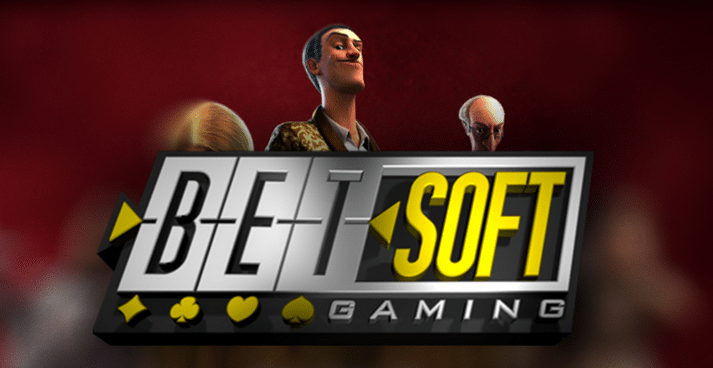 Betsoft is a famous software developer for Online Casinos and the Futuriti Casino has added now the games to its range of slots and games. 19 brand-new games are available and more will be follow. Play know well known online slots like “At the Copa, “Safary Sam” or “Greddy Goblins” and feel free to use a No Deposit Bonus! There is a really nice offer for new players which gives them a 50 € No Deposit Bonus! To claim the free Bonus is easy, simply register your player account within a couple seconds here and choose from 50 € No Deposit, 20 Free Spins or double Loyalty Points. 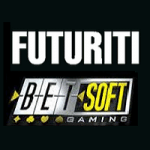 The Futuriti Casino offers besides that Novoline Slots, Playson, Belatra and Igrosoft. 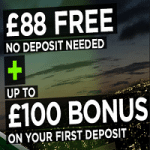 In this month again offers the 888 Casino a great promotion with a €/$/£88 No Deposit Bonus. All new players only have to register their account here and get immediately the access to the free offer. Once the registration process is done – it takes only a couple of seconds, receives the player the instructions for the Bonus by e-mail. Don’t miss the chance to grab more Bonuses at 888 Casino. 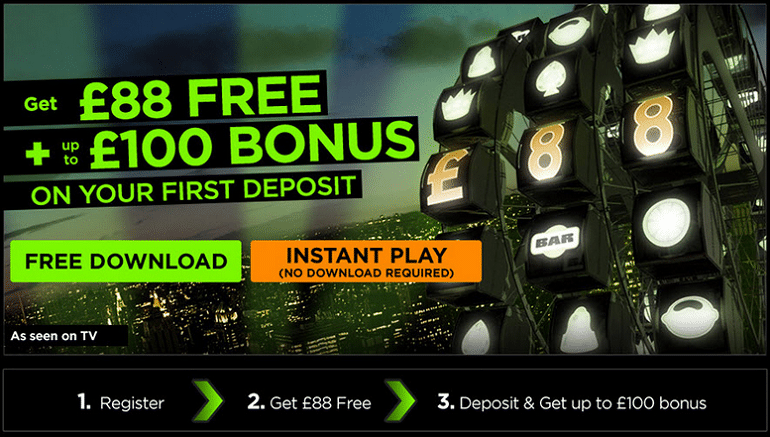 There is also a fantastic Welcome Bonus package which guaranteed up to €/$/£1.500 in Deposit Bonuses. Just for the first payment doubled the Casino your amount up to €/$/£100! Be aware even with the FreePlay Bonus you can play Millionaire Genie Jackpot Slot and you are able to win it!